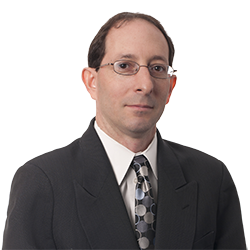 Steven E. Kaplan | Littler Mendelson P.C. He regularly appears before state and federal courts, as well as administrative agencies such as the Equal Employment Opportunity Commission, the Maryland Human Relations Commission and the Montgomery County Office of Human Rights. Additionally, Steven offers his clients compliance counseling with respect to Maryland and Washington, D.C., laws. Prior to joining Littler Mendelson, Steven was an attorney at the National Labor Relations Board, Office of the General Counsel, Division of Advice. During law school, he also worked at the National Labor Relations Board, Office of the General Counsel, in Brooklyn, New York (Region 29), as a field examiner. He was also an intern at the Equal Employment Opportunity Commission where he was a law clerk to the Chief Administrative Judge. In law school, he was a moot court associate. The District of Columbia Eliminates the "Tip Credit"
Can An Employer Ask Its Employees to Keep a Workplace Investigation Confidential? Insignia – Employers Watch Out! The Rise of Independent Contractors – Meet the New Boss, Same as the Old Boss? 2018 Mid-Atlantic Employer Conference, Washington, D.C.
Columbus School of Law - Catholic University of America, Washington, D.C.